Swimming pools are an investment: an investment in your home, your home life, and your time spent with family. So why not offer your swimming pool the best there is to offer? 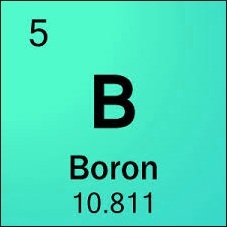 Boron, an element found on the periodic table, is the basis for borates, as it can be found throughout the wild. Borates act as a buffering agent in the water, which is why it is ideal for swimming pools. Borates interact with the PH, or acidity, of your water, and help keep it under control. All of the chemicals inside of a pool are key for a healthy swimming pool, and they must be kept in balance to ensure each chemical is pulling its own weight. So why do we use borates? Because it allows us to better ensure the success of your pool’s water health. And this is why you should use it too. With just a little bit of work up front, borates ensure the longevity of your pool’s water health as well as the water’s health. When your pool has high PH, or your water is more basic than neutral, several problems arise. 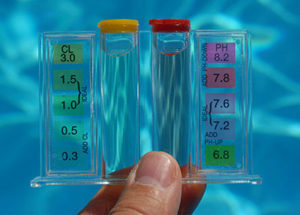 The first issue is that high PH does not allow your chlorine to work properly or effectively. When your chlorine stops acting as a sanitizer, this can cause algae growth. This is because it is no longer killing the organisms in your water and therefore allows for algae to flourish. Secondly, this can cause your water to to become cloudy and milky. Again, without proper sanitization, your water has no defense against microorganisms. High PH also affects us humans as well. Whenever we jump into a pool with high PH, we can experience some or all of the following: burning eyes and noses, as well as dry and itchy scalps and skin. None of this is pleasant to experience and is definitely not inviting for your next pool party. Borates can help control algae growth. Borates are not an algaecide, meaning they do not kill algae. But, they are an algaestat, meaning they can be used to help prevent the growth of algae. When your PH is under control, and in acceptable ranges, meaning your water is neutral, it allows the chlorine to go to work hunting down and killing the microorganisms and algae. It allows the chlorine to do its jobs and act as a sanitizer. Borates save you money on chemicals. Keeping your PH in check, as previously mentioned, allows your chlorine to go out and act like the sanitizer we all know it can be. This means that less is more when it comes to your sanitizer. By keeping your PH in check, your chlorine does not have to work so hard fighting the PH to get to the algae and other microorganisms. Which means you can actually use less chlorine, have the same level of cleanliness as before, and save money on your chemicals. When your PH becomes too high, even as much as 7.8-8.0 as opposed to 7.4-7.6, your chlorine can lose its effectiveness by up to 80%. Borates save you money of equipment and repairs. High PH leads to calcium scaling. Calcium scaling is the buildup of calcium deposits. This is not only unsightly, but also bad for your equipment and plaster as it can cause deterioration and degradation, costing you potentially thousands of dollars to replace equipment and re-plaster your pool. One of the biggest pieces of equipment that gets hit with calcium scaling is the salt cell. This expensive piece of equipment can get calcium scaling caked on it, costing you hundreds of dollars potentially in repairs. Borates make your water clear and sparkling. Borates in the water not only help with your chemicals, but also help with the overall experience of the water in regards to your experience. When all of your chemicals are in balance, your swimming pool water is like a dream. Borates help with that. By keeping your PH in check, chlorine is allowed to work hard and not become so wrapped up in the PH. This allows your pool so stay crystal clear for so much longer. Borates also softens hard water, making your experience much more pleasurable. Borates are our newest addition to our line of services here at Matt’s Water Pool Services. This chemical is helping us achieve our goal of “Teaching You How To Love Your Pool”, and we are proud of what it can do for you. 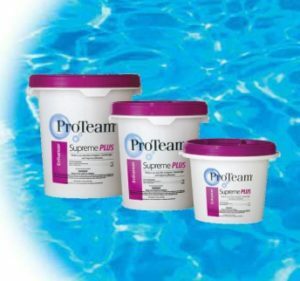 Borates are amazing for both new and old plaster, as well as vinyl liner pools, can save you money over time, and will help you and us maintain peak service and quality pool water health year round. Please feel free to reach out to us via our website, phone, or come visit us at our retail store in downtown Corsicana. 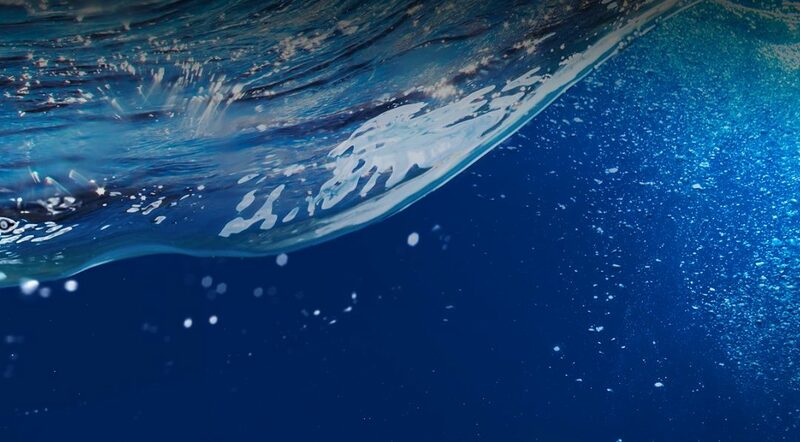 We would love to help you with your pool and would love for your to join us on our adventure as we further explore better ways to provide you with quality service.